Photo’s have surfaced on social media of an Australia Day Victory Party held in Western Australia on Friday. The group who are believed to be from Kalgoorlie posted their party photos publicly to Facebook and have since been widely condemned for their actions. 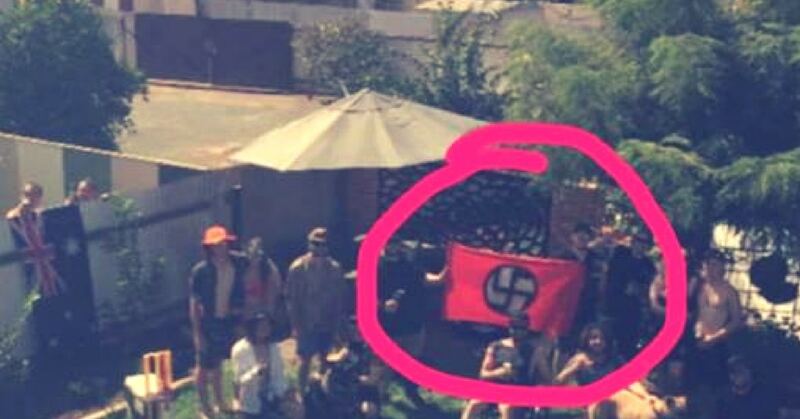 An image of the group posing with a homemade Nazi flag was posted to Facebook on January 26th with the caption, “Stay white Australia, Happy Victory Day”. 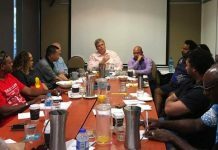 Kalgoorlie is the same town that ranked second in our poll of the 10 most racist towns and cities in Australia. A screenshot of the post has now been making its way around Facebook. It appears that the Facebook account that posted the images has either been de-activated or blocked by Facebook as we would hope it is a breach of Facebook’s community standards. 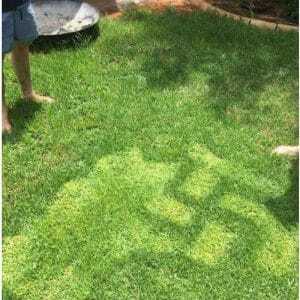 Before the account and post was removed, Facebook users were able to locate another image from the party where it can be seen that someone went to the effort of cutting out a Nazi sign into a map of Australia that was cut into the lawn. We find these actions very extreme and concerning. 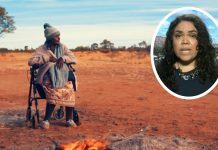 Why is it that the news headlines have been dominated by an Aboriginal activist who metaphorically said “I hope Australia burns to the ground” but nothing is mentioned about these actions seen in Kalgoorlie? And what about the sea of racist hate that we are seeing on news posts surrounding those protests?